Modelled loosely around the National Highway System of the US, he in 2001 launched the Golden Quadrilateral and the North-South & East-West Corridor projects to build 4/6 lane highways between four top metropolitan cities of Delhi, Mumbai, Chennai and Kolkata as well as from Srinagar to Kanyakumari and Porbandar to Silchar. 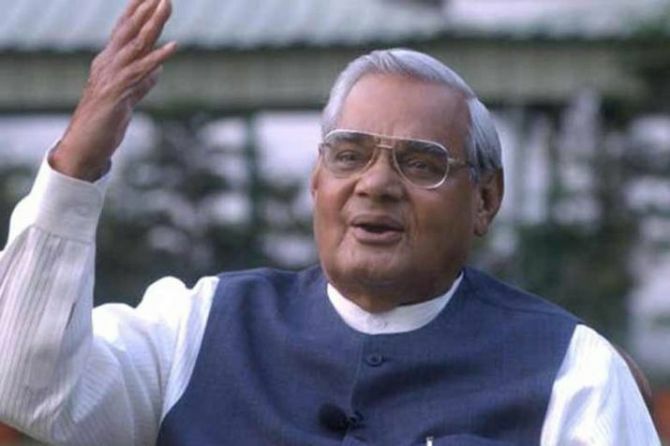 He built India's most famous highway project, started privatisation to cut government's role in running businesses and made big-ticket overseas acquisitions to secure energy supplies - former prime minister Atal Bihari Vajpayee was truly a bellwether policy reformer of modern India. Regarded by some as the father of second generation economic reforms, Vajpayee, who died on Thursday at the age of 93 years, was decisive and pursued his reforms agenda with vigour without getting ruffled by criticism. His idea was simple - construct arterial roads that could spur development just like what was witnessed in the US. Subsequent governments have only expanded on that theme. But arguably the biggest reform of his tenure was the privatisation drive which saw 32 state-owned companies and hotels being sold to private firms in five years. For the first time ever, a Department of Divestment to process privatisation candidates was created and a Cabinet Committee on Divestment formed to accord expeditious approvals. Beginning with sale of Modern Food Industries to Hindustan Unilever (HUL) in 1999-2000, his government went on to sell Bharat Aluminium Company Ltd (Balco) and Hindustan Zinc Ltd to mining baron Anil Agarwal's Sterlite Industries, IT firm CMC Ltd and Videsh Sanchar Nigam Ltd (VSNL) to Tatas, fuel retailer IBP Ltd to Indian Oil Corp (IOC) and Indian Petrochemicals Corp Ltd (IPCL) to Reliance Industries Ltd.
Also sold were a host of hotels including Kovalam Ashok Beach Resort, Hotel Airport Ashok in Kolkata and three hotels in New Delhi - Ranjit Hotel, Qutab Hotel and Hotel Kanishka. But the privatisation drive wasn't easy. He faced opposition and the decision to privatise Balco was challenged right up to the Supreme Court, which upheld the move. However, he failed in privatising oil refiner Hindustan Petroleum Corp Ltd (HPCL) with his own cabinet colleagues opposing the move. He was ahead of times when his government made a diplomatic push to acquire a 20 per cent stake in the gigantic Sakhalin-I oil and gas fields in far-east Russia for $1.7 billion in 2001. This was India's single largest investment abroad. This was followed up with a 25 per cent stake in an oilfield in Sudan for $720 million. The decisions were criticised for making such huge investments in risky countries but Vajpayee was proven right when even the Sudan project recouped investments within years. His model of energy security by investing in overseas projects has since then been followed vigorously with footprint now expanded to 20 countries and energy diplomacy part of India's engagements with other countries. China too has vigorously followed the same model and has invested in more projects than India in the last one-and-a-half decade. Vajpayee will also be remembered for introducing doping of sugarcane-extracted ethanol in petrol to not just cut import dependence but also provide farmers with an alternative source of income. The concept, however, suffered a slowdown during the 10-year UPA rule. It has again been revived by the Modi government. Meanwhile, telecom industry leaders termed Vajpayee, as ‘father of modern telecommunication’ in the country.